What a waste. 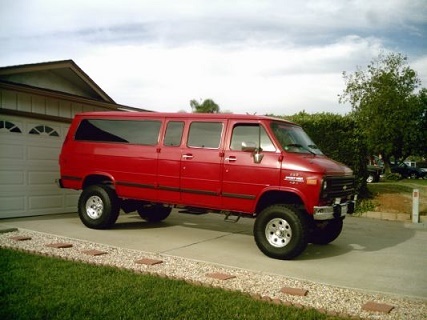 That was a cool van once. I wonder what he wants for just that one headlight screen? Depends on the State. Title might actually be a breeze to get. I would pay $600 for that if I was looking for a project. 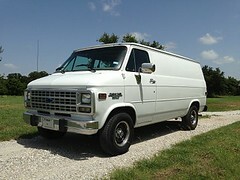 That was a nice van back in its day. Them junk yard guys love running them fork trucks around and ramming them big forks into everything with them. rust just scares me though. but that thing is sick! looks like it was insane in its time! Looks like a new title in NC might not be too hard or expensive to obtain, and if you were importing the vehicle to another State it also might not be hard to do. I hope someone grabs the whole van for a project. The rust doesn't look too bad, except maybe that gutter, and it looks like it has AC! Reed your right i didn't blow up the photos lol its pretty damn legit for sure doesn't look too cooked. i mean for the money and if it was near me id do it in a heart beat. no doubt.